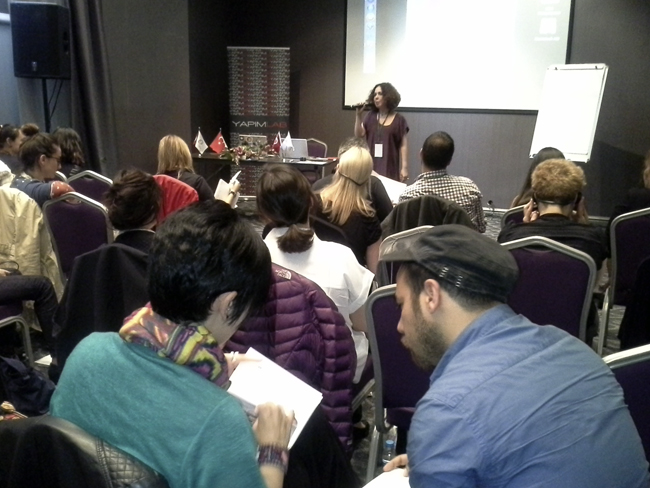 EWA Network and Zeyno Films were proud to host the course "Online marketing and distribution - maximising your chances" from 25-27 April 2014 at the Opera Hotel, Istanbul. How can you use the latest marketing and distribution tools to raise money and make sure your film reaches the widest audiences possible? Over 30 participants joined in this intensive course hosted by Zeyno Films and EWA Training from as far afield as Kazakhstan and Italy. Friday 25 April: Opening day event. The morning session was open to both EWA participants and Turkish producers. EWA Vice-President Zeynep Özbatur Atakan opened proceedings and gave a presentation of Turkey and the Turkish film industry. Francine H. Raveney then introduced EWA Network and its ambitions for the course. Then Cheryl D. Miller introduced the concept of online branding. She offered an insightful approach to building your brand and explained how this can help your film. Proceedings were closed with a case study on a film project using online marketing by Andy Green (Distrify) followed by a Q&A. The second day started with an interesting presentation about how to build your audience and different marketing techniques delivered by Kobi Shely. 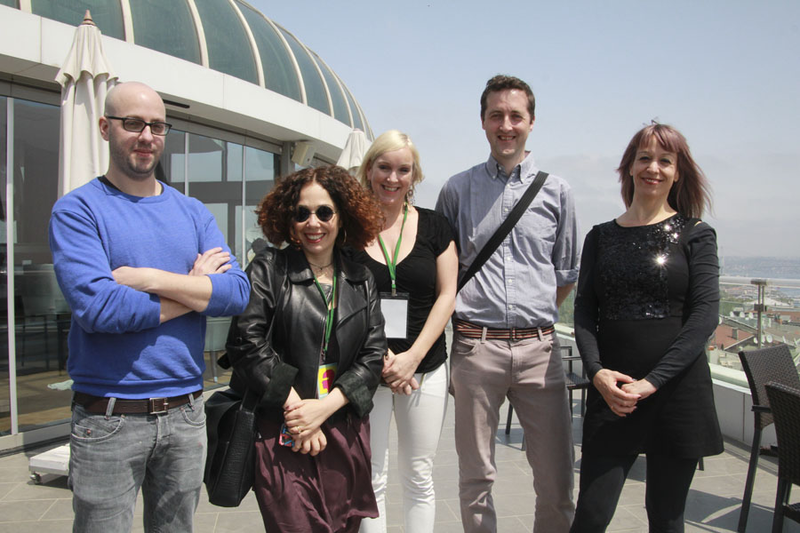 After lunch on the Sky-view terrace of the Opera Hotel, Seda Kilic Artas introduced participants to theories on crowd-funding. Proceedings closed with a session by Seda Kilic Artas and Andy Green which helped participants to define a successful crowd-funding campaign. The day ended with another Q&A open to Turkish and EWA participants. On the third day, Andy Green opened proceedings with a discussion on Online versus Traditional Distribution for your project – Making distribution work for you. Both he and Kobi Shely offered ideas about how to achieve online distribution using mobile technology. Kobi shared ideas and tips for making use of VOD channels to promote and distribute films in new and innovative ways. During the afternoon session participants followed 1-2-1 brainstorming meetings with all of the experts. The course closed with a cocktail party at the beautiful sky-bar terrace where of all the participants received certificates for the course.